Birte Goldt, our second Hamburg Geekette of the Month, decided to change careers and became a Ruby on Rails software developer by teaching herself how to code. 1. Birte, tell us a little about you job, please. What are you doing? I am working as a Software Developer at AKRA GmbH, a software service provider and consultancy - we are realizing and supporting individual software solutions for business clients. I work in the Ruby on Rails department on different projects, building and changing applications, fixing bugs and doing some third level support. 2. But you don’t have a computer science degree, right? So how did you find your way into software engineering? That’s true, I’m coming from a completely different site: I studied Political Science, Gender Studies and Latin American Studies. In the later years of my studies I was very into blogging and the whole web 2.0 thing. Accordingly, after graduating I worked in community management and user support for a software company called epublica. I had a lot of software engineers as colleagues and after a while I started to envy them a bit for their jobs - over the years, my communication profession wasn’t such a challenge anymore. Somehow I pictured coding as more interesting, but out of reach for me as a non-developer. But then, while I was at maternal leave, some things at my company changed. One day I got a call from my new boss telling me that my old job didn’t exist anymore and they probably would have to dismiss me after my parental leave. So I asked if there would be another job opportunity for me in the company - and he told me that they always need software developers. So as I was open to go on a new career path, I decided to take the chance AKRA gave me and began to learn Ruby on Rails with online resources at home. After 5 months I started to work at the office, but still studied a lot during work hours. That was one year ago and meanwhile I’m working practically all my 5 daily hours on productive projects. 3. What was the hardest part of “hand-crafting” a totally new career in tech for yourself? It was hard before I received the offer from my company, because I knew that I didn’t want to go back to my old job, but I didn’t have any idea which path to go instead. Once I had the agreement with my employer, I was highly motivated and managed to self-discipline and study by myself really well. Later on, after starting to work as a software developer, it was sometimes difficult to overcome self-underestimation. I had to learn that it is really important to be confident about your skills if you want others to recognize them. 4. I recently heard a male software engineer saying, when he was asked, how to recognize a good developer: “He has probably built his first product at the age of 10.” What do you think about that? I have built products when I was 10 ... like pearl bracelets and crafted earrings - but seriously, I don’t think that what you did as a kid defines the skill-set for your whole life. If someone had the opportunity and ability to dive into coding as a kid or not, doesn’t say anything about their “qualities” (however this is defined) as an adult. These kind of statements are part of the “nerd myth” that keeps women excluded from programming. 5. What are your experiences: How do companies feel about female engineers and especially about the ones that start their career with self-taught skills? As I didn’t go through any usual application procedure, I can’t talk about experiences with other companies. I got the impression that most companies really want to hire female software engineers - but as most jobs require some years of working experience or an academic degree, probably the entry for self-learners is still difficult. I guess I was in a quite lucky situation for the career change, as I was already employed but without an existing job. 6. Do you have an advice for someone who wants to reinvent her career and become a software engineer after studying something else? Starting to program is not easy, but neither something impossible - no one is born as a programmer. So if you don’t see a perspective in your field and like to keep on studying on a steep learning curve instead of doing some job that stresses you or doesn’t give you satisfaction, and you like creating websites and logic, you should check out if coding is something for you. And if you don’t know where to start, please read my commented link list and this year’s update for web programming learning resources. 7. Did you have - or do you still have - a mentor or any other person that supports you and maybe is something like a role model for you? Unfortunately I didn’t have a personal mentor - in the absence of role models around me, I even collected “female computer science role models” on Pinterest. But I got a lot of support from friends, family and colleagues from AKRA. What was also very empowering was that coincidentally the Rails Girls Hamburg grouped together just when I started to learn Ruby on Rails. Kind of a career-change/rails-self-learner role model for me was Joan Wolkerstorfer, who’s recorded talks I found on the Internet. At the recent Geekettes Hackathon in Berlin, I was lucky to meet her and we programmed together on our new project Rent a Role Model - an application that will connect teachers with female tech role models to bring them to schools for career information events! 8. You are one of the organizers of Rails Girls in Hamburg, you are writing a blog about being a coding mom and feminist - Why is supporting women in tech important to you? I am lucky to have an employer who supports women in tech, but I still think it’s important to support females, because there are not enough of them in the software industry - something I notice every day in my office, in every meeting, at every conference and every user group. And I miss them! So, as I am working in this industry I see it as my field to act. I think that it’s kind of a vicious circle that keeps women away from IT, since there are so many hurdles on the way. It’s reputed as a boy’s thing and there are hardly female role models around, so girls don’t consider coding as a possible career path. Of the few women who decide to study Computer Science, many report frustration about the misogyny of their male fellow students who tend to devalue women’s tech skills and celebrate a “brogramming” culture which they often bring to their workplaces, too. And then, as I heard from job seeking friends, it’s even difficult to find part-time jobs in programming - which is a problem not only but especially for mothers, as long as society preserves traditional division of family labor. But for my experience, building software is something you can perfectly do part-time. And women can be amazing developers, as we just saw at the last berlin geekettes hackathon. I think that programming is a great job and it shouldn’t be reserved for white guys. I don’t want to argue that the world would be better with more women developing software. But I’m sure it will be better for the current and next generation of women (and other minorities) in tech, if we accomplish to reach more diversity in the software industry. 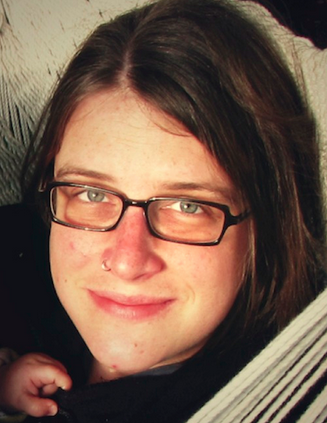 Want to meet Birte and learn more about Rails Girls Hamburg? On October 23rd, the next Rails Girls Hamburg Meetup will take place at the Humanist Lab (Seilerstr. 38a) at 7:30pm.